Ten 20 Property Management works hard to give concierge service to our clients that the “bigger” property management companies don’t have the time to give you. We also maximize the technology available and in the end combine first class service with the ease of online technology. Let us take the stress out of managing your property. "After managing our house myself for a couple years long distance, we decided to try a property manager to lessen the burden. We went with another manager and our home sat vacant for 6 months. We heard about Ten20 property management and more specifically, Kara, from a good friend who was using her services with his own rental home. We made the switch to Kara and she got things rolling immediately! Our home rented in under 2 weeks and everything has been handled beautifully by her ever since! If you’re looking for reliable, peace of mind service, Kara is the way to go." Being a military family we had to leave our home in the hands of someone. We are so thankful that Kara is that person. She made the rental process a breeze. Everything was explained in detail and she made sure we understood. Lines of communication are open. She has made sure that the property is taken care of and renters are comfortable as well. All work orders have been professionally handled at a great price. If you want to feel comfortable renting your house then choose Kara Maxwell period." Ten20 has been amazing!! Our rental property gets rented quickly and Kara Maxwell is responsive and helpful. She is my eyes since I can’t be there to see the property. I HIGHLY recommend this company and Kara!" "I waited a bit to write review till I had more experience with company. Kara Maxwell knocked it out of the park. As a Military Family PCSing, the house was rented before we left. Took a lot of stress off us. New tenants are great. Process was easy as can be. Kara stayed on top of everything and still does. Payments are processed on time every time. She does such a great job that we don’t even worry about house at all. We know it’s in great hands. Thank You so much for taking the time to really care." "Thank goodness for Ten20 Property Management!!!! Our nightmare of being our own landlords has turned into a dream come true with our house rented out the same month we listed!!!!!!!! Best choice, hands down!" 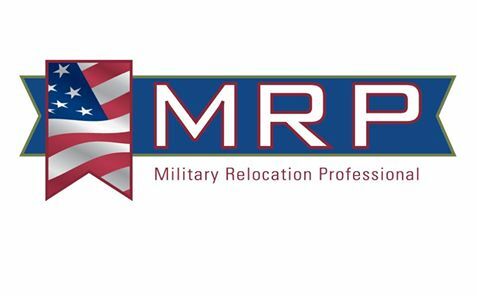 "Needed a place fast as when we got to town we decided military housing was not worth the money. Found a house and was able to move in the next day! Also we felt like a valued customer and not a nuisance like most of the other property companies made us feel. The ones that actually called us back anyhow. Thank you so much Ten20 for taking care of my family and I." "I just recently moved because of work after living in Columbus for a year under Ten20 Property Management, and I never had any issues that Kara didn’t take care of immediately! Very professional and just a great person. She was always prompt at getting back to my emails/ calls and made our experience while living there awesome!! Definitely suggest checking them out if you are in the market!" "Kara is awesome! My home rented before I even moved out – listed for only a day and she gave me a sign to put in my yard, but I didn’t need it! Use Ten20 for personal and professional service – skip the bigger property managers!" "Kara Maxwell has always treated my referrals with the utmost caring and professionalism."